Welcome to the new home of Megaflex Limited. Our extensive range of hose, tubing, ducting, fittings, conduit and PVC strip are suitable for a wide range of applications, use the dropdown menus above to explore our site. Megaflex Limited was established in 1996 and has developed an excellent reputation over the years for quality and reliability. Our head office is based in Southwell, Nottinghamshire and we stock products in our warehouses across the United Kingdom. We offer an extensive range of flexible tubes, hoses, ductings and fittings. Reinforced Hoses have either a polyester or nylon type braid reinforcement for delivery and pressure applications, or a helically bound metal spiral reinforcement to provide additional support when used for vacuum and suction purposes. Our diverse range of reinforced hoses suit many applications such as: gravel transport, wood chip extraction, cement placement, water suction & delivery, air & ventilation ductings, furnace coolant hose, milk processing, brewing hose, agricultural delivery hose and many others! 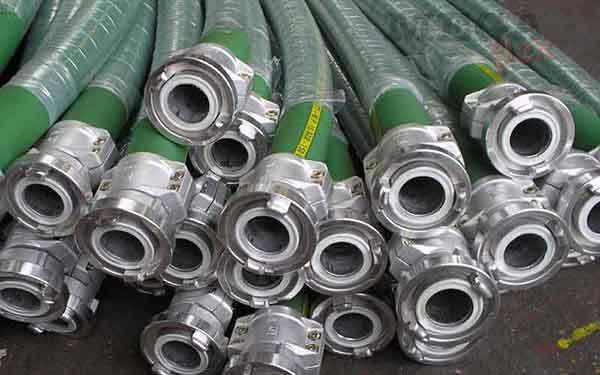 PVC Suction and Delivery Hoses are used for a wide range of applications such as chemical transport, water suction & delivery, any many others! Layflat Hose is reinforced and used for delivery applications such as on farms, and in agricultural water and grain delivery. Rubber Mandrel Built Hoses are suitable for a vast array of applications such as oil, fuel, chemical, cement placement and many others. They are supplied by the metre and reinforced with fibre and/or wire for both pressure and suction applications. Usually rubber suction and delivery hose is used for oil, we have a great range of high quality mandrel built rubber oil hoses. We can supply our rubber suction & delivery hoses by the metre. We supply aircraft refuelling hose, aircraft defuelling hose and regular fuel transport hoses to various sectors of the market, we pride ourselves on our availability and high quality. Welding, Gas, Oxygen Hose, Argon Hose, Acetylene, Oxy-Acetylene, Propane Hose and our Twinline Green and Yellow Gas Hose are all perfectly suitable for welding & gas applications, we can also supply weld-splatter resistant ductings for resistance to sparks and high temperatures. We have a massive range that incorporates most chemicals. We have PTFE Tube & Viton Tube which are virtually resistant to every chemical, we also have variants that are PTFE and Viton lined rubber chemical hoses, and standard PVC suction & delivery hose is exceptionally cost effective for less aggressive chemicals. We also have nylon tube, silicone hose, and many more! Let us know what chemicals you are using, and we can advise an appropriate product for you! We have loads in the way of Automotive Hose; we have a massive range of nylon reinforced silicone hoses and silicone turbocharger hoses. These are ideal for internal car parts, and air intakes. 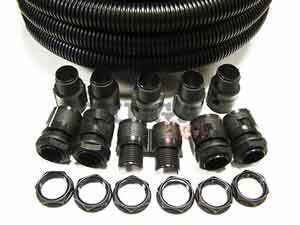 We also have rubber car heater hose, and various silicone & neoprene ductings. Ductings are commonly used in extraction, such as dust extraction, particle extraction, wood chip & sawdust extraction, and air conditioning style applications. We have many different ductings to cover a wide range of applications, with many outstanding features, such as microbe resistance, fire retardant ductings, antistatic ductings, any many more! Our Wood Chip Extraction Ductings are perfect for biomass boiler wood pellet transfer, for suction of wood pellets through the biomass boiler system, for collecting wood chips, extracting sawdust and chips from cutting and sanding machines, lathes and circular saws. Dust and Air Ductings are lightweight products, suitable for air conditioning, ventilation, dust extracting, fume extraction, air blowers, light vacuum. Air Conditioning Ductings are used primarily for air conditioning systems, but can also be used for fume extraction, dust extraction, light vacuum applications, and general ventilation. Microbe & Hydrolysis Resistant Ductings are especially useful for outdoor applications, or where ductings need to run up the side of a building or outhouse. They can be used on machinery such as tractors, and combine harvesters as grain transfer hoses, and for ourdoor stable applications, such as paddock cleaning, as "Poovers" or poo vacuums for horse manure suction, and general cleaning in outdoor environments i.e. leaf collection, grass cutting vacuums etc. Antistatic Ductings are excellent where high abrasion, and static come together. They are designed to dissipate the static charges that build up with heavy flowing static material. They are often used for plastic pellets and fibres. Fire Retardant Ductings are useful in environments where there are higher than normal risks of fire. Places such as woodworking and certain engineering workshops, naval vessels, and other potential fire risk areas. Our Pharmaceutical Hoses are made to pharmaceutical food grade, in materials such as platinum cured silicone. Only the highest quality materials are used. Unreinforced Tubing comes in many shapes and sizes, we have heavily chemical resistant tubes such as Viton, PTFE and Nylon, we also have tubes for general laboratory measuring equipments, air line coils, pneumatic tubing, bleed lines, brake controls, lubrication lines, petrol tank breather pipes, water monitoring, food and many other uses. Nylon Tube for oil lines, petrol tank breather pipes, greasing sheaths, pneumatic controls, bleed lines, brake controls and lubrication lines. PTFE Tube is virtually inert to all known chemicals & solvents, has excellent non-stick properties and enjoys a wide temperature range from –200ºC up to 300ºC making it ideal for applications such as semiconductor manufacture, water monitoring, gas analysis and specialist fluid handling. 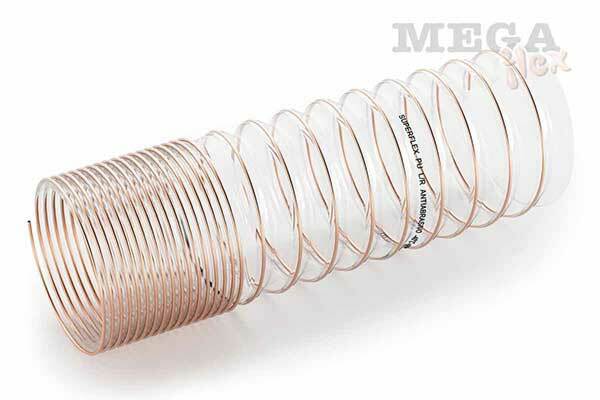 Viton Tube has extremely high chemical resistance, and is commonly used in environments where other tubing simply would not survive, such as in harsh chemical reservoirs, chemical waste processing, chemical sampling and identification. Our standard PVC Tube is used as a general purpose hose for air, water, light chemicals and other general uses. The cost effectiveness of standard clear PVC tube is exceptional, making it perfect for low pressure, simple applications. PVC Laboratory Tubing is a slightly softer (Peristaltic) grade, offering additional flexibility, allowing for it to be used in much smaller environments and tight spaces. It is often used in measuring equipment in laboratories. Synflex 1300 / Dekabon Tube is commonly used in pneumatic applications, and as air sniffing tube for air testing facilities. It is supplied in long lengths, and provides excellent protection to the contents as a result of it's HDPE cover. Aluminium inside tube makes Dekabon malleable, but remain in place when moved, holding its form makes it a completely unique product. 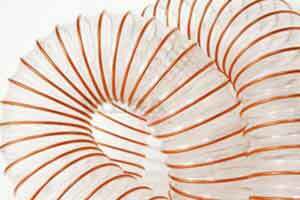 Polyurethane Tubing for pneumatic control systems and air line coils. Silicone Tube and hose has good physical stability, is naturally translucent, odourless, tasteless and inert with good resistance to ozone, UV and a wide range of chemicals. It is soft and highly flexible with good resistance to extremes of temperature making it repeatedly autoclavable and suited to medical, pharmaceutical and biotechnical industries. Santoprene Tube is a thermoplastic rubber product with excellent wear and abrasion resistance, suitable for peristaltic pumps where constant flexing would wear down other tubing. It is non-toxic and can be sterilised or autoclaved. Neoprene Tube is has good ageing and weathering resistance, along with medium resistance to petroleum based oils and hydrocarbon exposure. It also offers excellent electrically insulating properties. Latex Tube is extremely flexible and elastic. It can stretch up to 500&percnt; in length, and is used for general laboratory tubing, catapults and exercise equipment. Our massive range of Fittings comprises of Hydraulic Fittings, Pneumatic Fittings, Hosetails, Adaptors, Compression Fittings, Clips, Clamps, Fasteners, Compressors, Pumps, Malleable Pipe, Plastic & Push In Fittings, Stainless Steel Fittings and an extensive range of engineering consumables and tools! 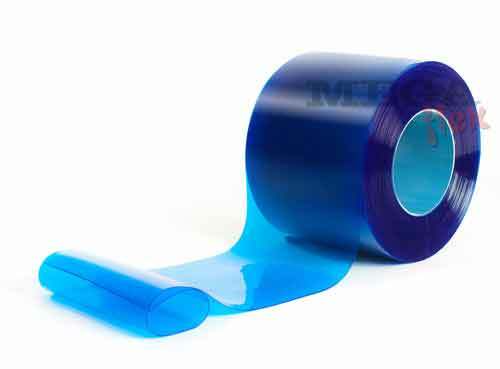 PVC Strip Curtain is often used in warehouses, supermarkets, on lorries & trucks, design studios, as machinery protection, walkways, partitions, doorways, screens, as sound proofing on walls, ceiling and floors. It can be supplied in sheet or strip format in different widths, and a massive range of different colours. We can offer ready-to-hang sets of doors, or we can supply bulk 50m reels of PVC Strip. We also have instructional guides on how to fit PVC Strip Doors and Hanging Systems. Clear PVC Strip Doors are often used in environments where traffic is going both ways, to improve visibility. It can be used in warehouses, supermarkets, as doorways, and insulation. Welding PVC Strip Doors are used commonly in welding bays, and engineering workshops, where they separate workers from the UV radiation, and bright ends of the welding equipment. Polar PVC Strip Doors are used in environments such as warehouse or supermarket cold stores / walk in refrigerators, where the added insulation helps keep running costs to a minimum without impedeing traffic. PVC Sheet is generally wider than PVC strip, often in 1-2m widths. Our huge range of conduit is perfect for cable protection in all conditions, we have various levels of protective conduit, ranging from plastic to stainless steel. We have liquid tight conduit, corrugated conduit, and more recently we can offer some of our conduit ready strung with draw wire for easy installations. PVC Spiral Reinforced Conduit is often used for light cable protection where a degree of mechanical protection is required. Galvanised Steel Conduit is used commonly in environments where heavy mechanical protection is required. PVC Coated Steel Conduit is used as a waterproof and strong mechanical & crush resistant conduit to protect cables outside. 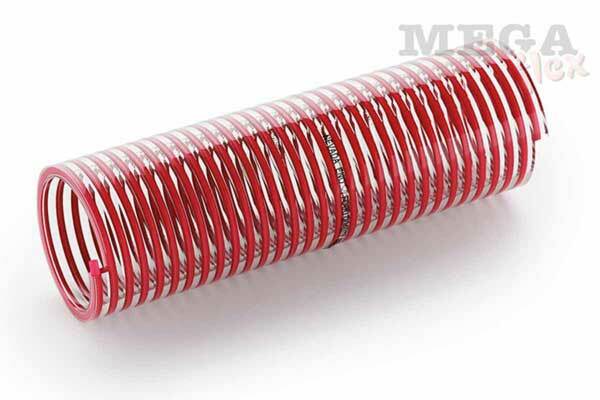 Steel Overbraided Conduit adds excellent scuff and wear protection. A much more cost effective version than the galvanised steel conduit, the heavy duty PVC conduit offers quite reasonable mechanical protection. Nylon conduit offers a cost effective, weather resistant conduit solution, for protecting cables in chemical environments. Polypropylene Conduit is the most cost effective option, providing weather resistance but little in the way of mechanical resistance. 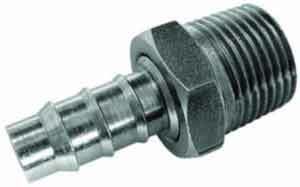 Stainless Steel Conduit is an excellent all-round conduit, providing protection from crushing, weathering and wear.